I’ve been working with a new backpack company the last few months: Initial Ascent. It’s been fun to see a new company jump into the market and bring fresh concepts and technologies to the field. Initial Ascent is based in Idaho and offer products that are 100% made in the USA. 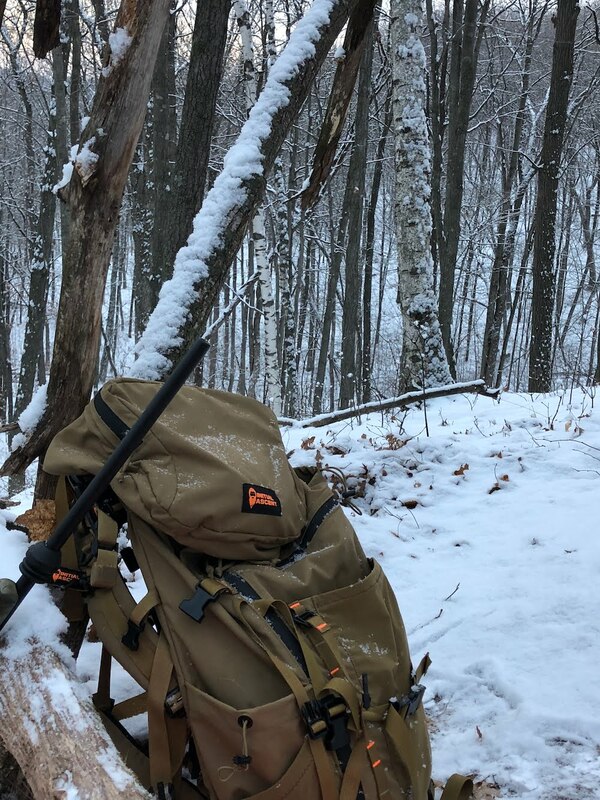 I’ve ran the Initial Ascent Backpack in the IA4K-4 Gear Combo Kit system myself through the 2018 season, and tested it across multiple friends during that time. This review highlights my experiences during that time. Total weight with Platypus Big Zip 1.5L Bladder &The Pannier Load Carrier 6.5 lbs. On my scale, the IA4K pack/gear combo kit weighed in at exactly 7 lbs without the water bladder (add a paltry 5.4 ozs for an empty bladder). Highlight Features of the IA4K, that are unique to Initial Ascent. I’ll cover these features point-by-point first. The Gun Sling Notch is a small cutout used to cradle the rifle’s sling. There is one located on each side of the frame to accommodate left or right hand shooters. 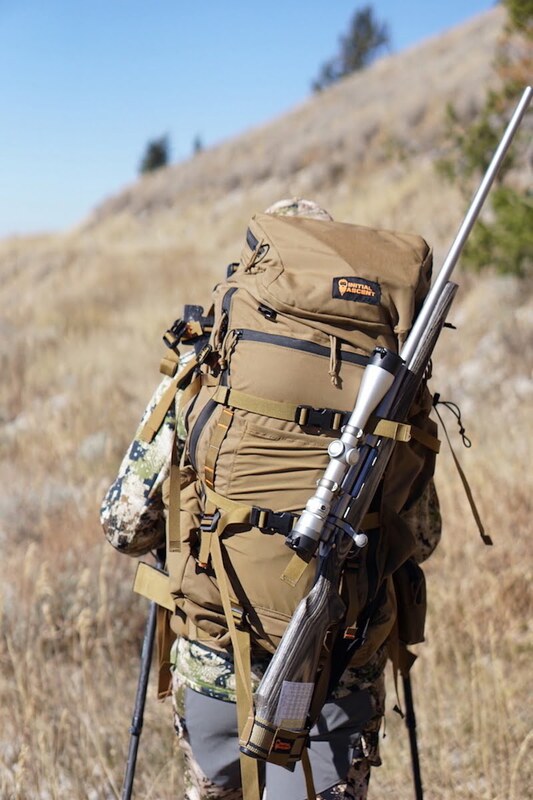 The notch will hold the gun fairly well in daypack mode, but with a loaded pack where bulk becomes an issue, I preferred to use the Initial Ascent Rifle Holder (shown below.) 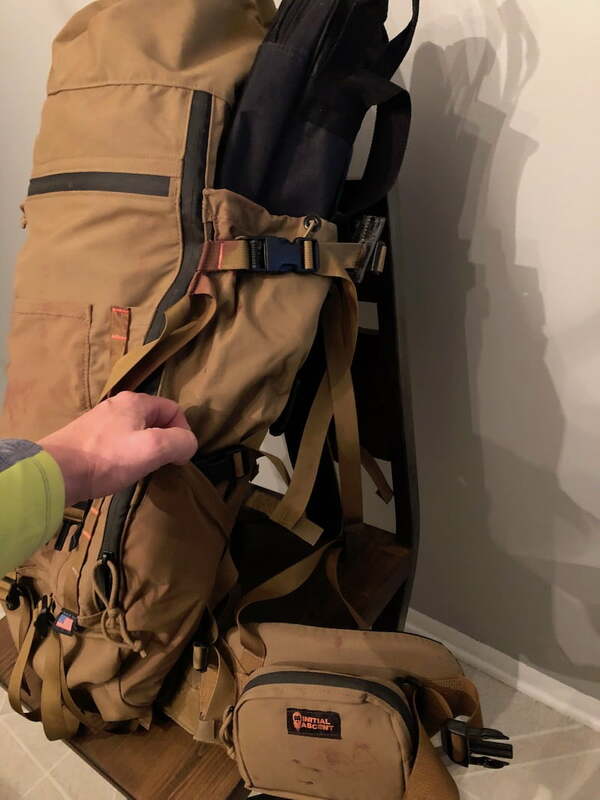 Along with the Rifle Holder and use of one of the cargo straps, it holds your weapon rock solid for the pack-in and pack-outs where quick access to your rifle isn’t high priority. 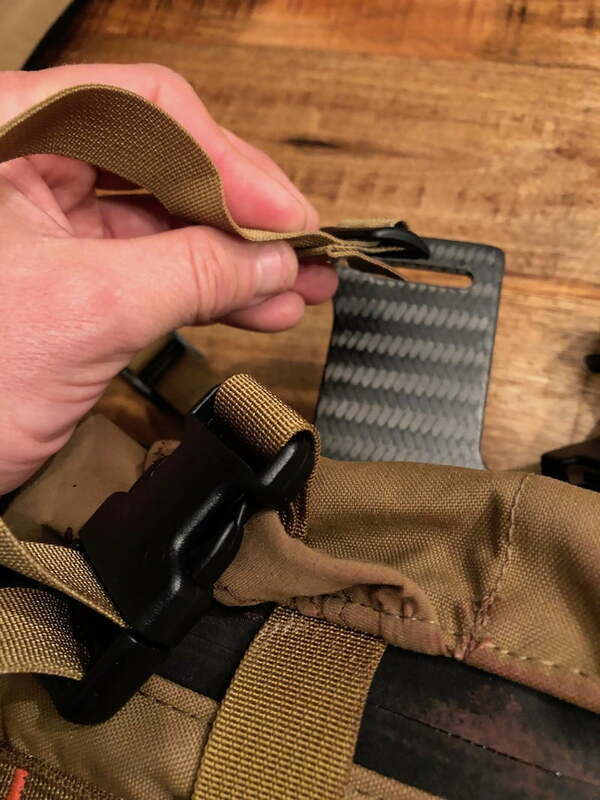 When actually hunting, the Gun Sling Notch is a better choice as you can get to the gun quickly. However, if I were in very rough terrain, I’d still prefer the Rifle Holder as the rifle may become dislodged from Gun Sling Notch. Each user will have to find out what he prefers, but having both options is the best. 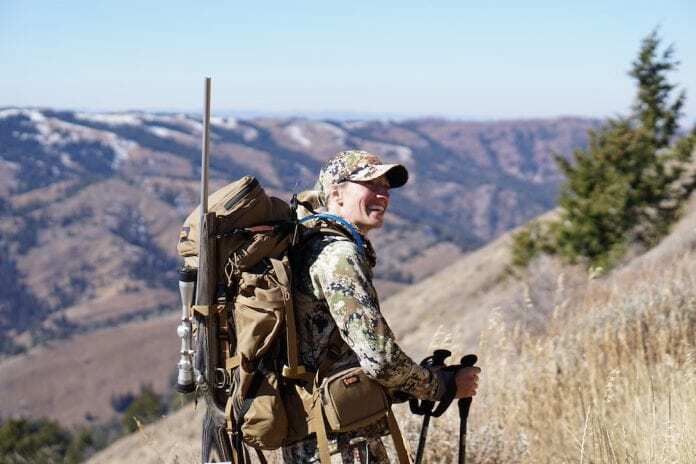 Pictured here is my friend Jenn loaded down and utilizing the Rifle Holder; it was rock solid. Just to the inside of the gun sling notch, on each side, is the 3-point locking system. This is a super quick attach/detach/adjustment system. 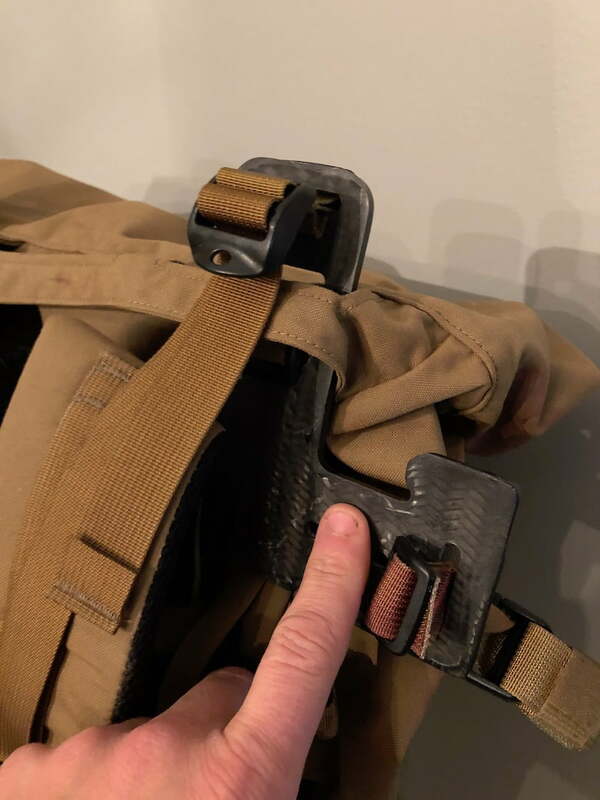 It attaches the shoulder harness to the frame, but it also allows adjustment to set the load lifters to the correct angle. This feature allows the pack to be used between multiple users quickly, yet efficiently. Initial Ascent utilized the 1.5 L Platypus in their low-profile water bladder storage system. It installs in the top lid. At first, I didn’t like this idea, but I hadn’t actually hadn’t tried it. I judged the proverbial book by its cover. After using it, I found that not having to open up the pack, rearrange, dig, and pry out the water bladder, was a pretty slick idea! Very simple and quick to access, and still functional to either side of the pack. After three years and fourteen iterations, Initial Ascent finally settled on their 18 oz. triaxial weave carbon composite blend frame. As most serious backpackers know, the frame is an integral part of the pack. Initial Ascent built this pack around their frame. 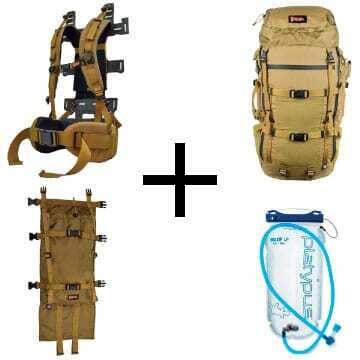 Their end goal was to create a pack that could not only shoulder heavy loads, but do it comfortably. For sure they succeeded here. Their frame design allows the load to be positioned to the center of the bag, in part by the wedged bag design, allowing the weight to be evenly distributed. 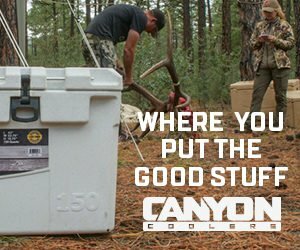 In turn, muscle fatigue and shoulder strain are minimized and air flow is maximized to help keep cooler in hot conditions. The Pannier Load Carrier is a neat feature. It allows the user to carry the meat between the frame and the bag. This is an integrated, always-ready-to-use system. 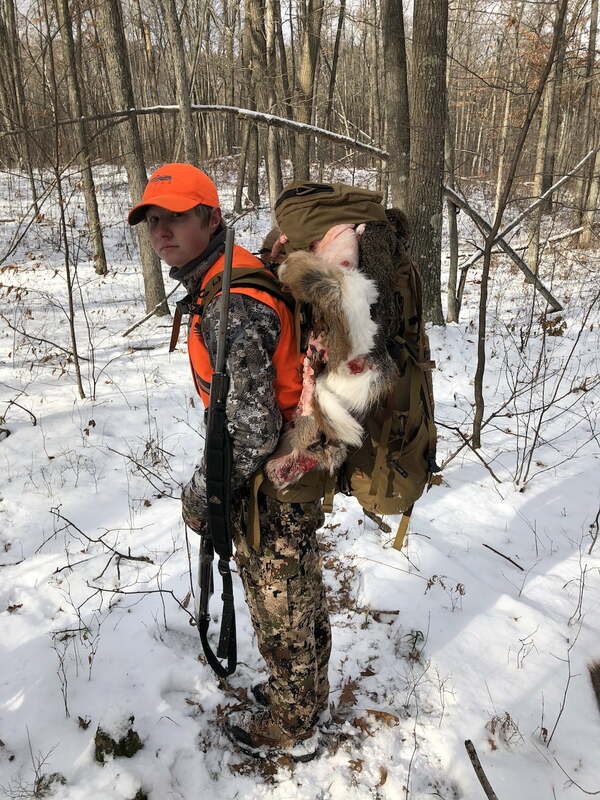 It allows the bag to haul while keeping gear clean inside the bag, and keeping the weight of the meat close to the user’s center of gravity. This improves balance and additional comfort at the contact points on the shoulders and hips. 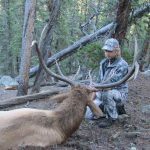 We used this configuration on multiple loads of Wisconsin whitetail and Wyoming elk (up to 120lbs) and were very happy to see it functioned as it was designed to. This pack rides my hips better than any pack I’ve ever worn. That says a LOT. It’s comfortable. My last load out of Wyoming was in the 120# range. It wasn’t painful anywhere, indicating they have hit the sweet spot for the frame and suspension set-up on this pack. The waist belt has a forward or center pull, allowing the tightening to be a “cinch”. They are quick and convenient, easily popped in and out for switching between different users or frame and pannier mode. The photo below illustrates this feature (but read on for a few issues I had). Last but not least, was the ability to go from pack, pannier, or pack and pannier combination. Very simplistic, yet functional. I’m very happy with this setup. Initial Ascent utilizes a“quick slide/release” system. The theory is there and I really like it, and I like that it’s “molle” adjustable. However, I did lose several straps during my testing. The first was the strap that goes from the lid to the bag. It came off four times during my testing and unfortunately I only found it three times. I also lost one of the frame attachment straps and never found it. In looking at the design, and using it, I wouldn’t think this would be happening. It is, however, and I hope the Initial Ascent team can rectify the problem. The waist belt padding is different than I’m used to. It’s stiffer. It’s not uncomfortable, it’s just different. I’m nitpicking, and not saying that it’s bad, it’s just different from everything else I’ve ever used. Even more time will form a better opinion. The last thing that I would like to see “changed” is variety. They are a new company, so I totally get where they are at. Right now, there aren’t many options in the bag; just one size in one color. Not a big deal, but options increase usability. That’s a good thing for everyone involved. With that said, I do believe they are working on more options for 2019. 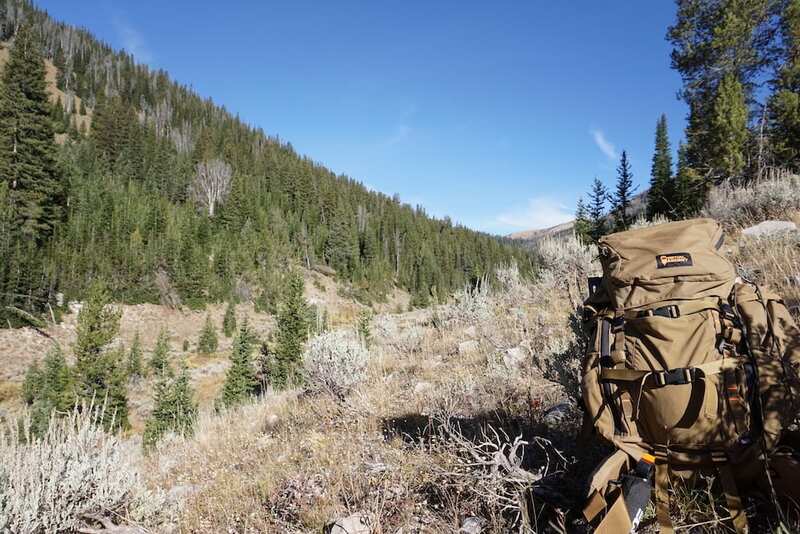 The Initial Ascent Backpack is a great product. The company spent three years developing this pack, and didn’t rush into releasing something that wasn’t ready for the market. They have some innovative ideas, are progressive thinking, and are willing to listen to the customer. I’m looking forward to seeing how they continue to grow and develop. Follow along on the Initial Ascent thread here, and check out previously asked questions, or ask your own. The guys at Initial Ascent and myself will be answering them. 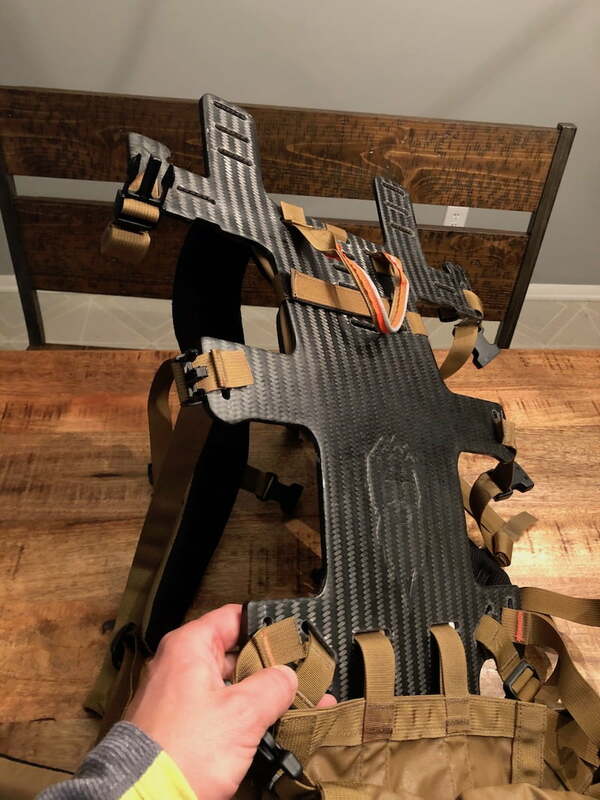 *Initial Ascent is now a Rokslide sponsor, so watch for more information on the forums as they work to improve and bring more products to the market.